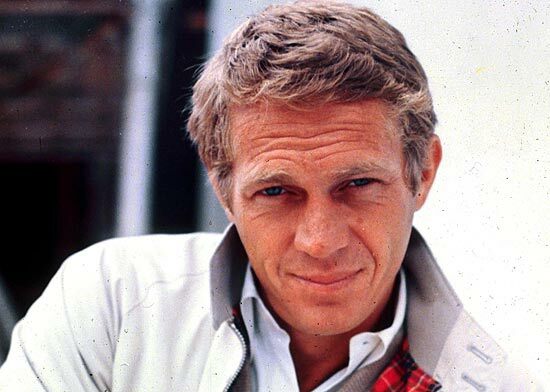 Financing for a film that would look at the life of Blob star Steve McQueen, appropriately titled McQueen, is starting to come together, according to a report from Deadline. The film is the project of The Immigrant director James Gray and could possibly feature Gray’s Immigrant star Jeremy Renner in the title role, though Deadline states that both Channing Tatum and Ryan Gosling have expressed interest in the part in the past. 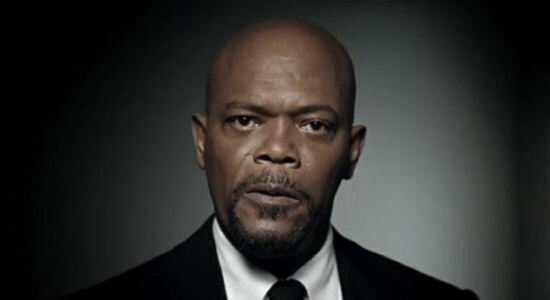 The film will be based in part on on the 2010 biography Steve McQueen: The Life And Legend Of A Hollywood Icon, written by Marshall Terrill and ” a unique story that is being kept under wraps about McQueen’s life that he wrote about at the time of his death in his own hand,” according to Deadline. [There is a diary] that was kept by his nurse in Mexico who gave it to the author of the book that was done on him by Marshall Terrill. Something happened in McQueen’s life that has been kept secret for a long time. We think we have a very interesting way into this story. No screenwriter has been hired yet for the project. A couple of months ago we learned that Simon West is the latest director to take on a remake of The Blob. Now the folks at Den Of Geek have caught up with West and have asked him some pointed questions about how he envisions reinventing the Blob for 21st century audiences. It seems that West’s idea is to use modern visual effects technology, i.e. CGI, to bring to the screen a film that sounds more epic in scope than the original film. West goes on to draw a parallel with another classic science-fiction film trope. This thing’s come from another planet, and also, we don’t know how many there are. It’s fun at the moment – while I’m prepping this other film, The Blob is a bit longer term. I’m having a lot of designing this creature, what its talents are, its attributes, how you can think you’ve defeated it, but you haven’t. It’s fun inventing a creature like that – like the new Alien or the new Predator. Well, I certainly like his enthusiasm and it does sound like a much better approach than former Blob-remake director Rob Zombie’s “not to have a big red blobby thing” attitude. Let’s hope in all that enthusiasm he doesn’t forget to do what Alien and Predator did so well – make us care about the characters on the run from and trying to stop the Blob. 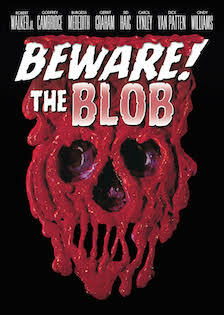 Director Simon West (Con Air, The Expendables 2) will be directing a remake of the classic 1958 horror classic The Blob. Deadline is reporting the film will start shooting this summer, though there is no word on any cast or who may have written the screenplay. There have been several attempts to get a Blob remake off the ground over the past several years. Screenwriters Carey W. Hayes and Chad Hayes, the team behind the 2005 House Of Wax remake and 2013’s The Conjuring, wrote one attempt. Rocker-turned-director Rob Zombie was also attached to oversee a new version of the film, though he never got to the point where a script was written. Zombie infamously had stated that his intention for his remake was “not to have a big red blobby thing.” So perhaps we’re all better off that this attempt has been grounded. The Blob will be invading RetroCon next week, September 27th & 28th in the Philadelphia suburb of Oaks, PA! Well, more specifically, Wes Shank, caretaker of the Blob, will be at the convention in the Philadelphia suburbs with his famous charge for all to see. Tickets are $17 for Saturday and $15 for sunday, but that gets you access to the entire convention floor, the dealers rooms and panels. Additional guests include cartoon voice actors Michael Bell, John Moschitta, Jr., Michael McConnohie, Larry Kenney and Doug Stone, Doug “The Nostalgia Critic” Walker, James “Angry Video Game Nerd” Rolfe and BLobFest favorite Mr. Lobo. You can find directions to the Greater Philadelphia Expo Center here. Once again BlobFest brought out the local media. Here’s a quick wrap up of the coverage from this past weekend starting with all three Philadelphia local news stations reportage on the Friday night run out. The Phoenixville Phoenix Reporter & Item is always onhand with great coverage of the weekend. While the Daily Local has a nice slideshow of local businesses and how they decorated for BlobFest. Costume contest judge Joel Hodgson was tweeting out pics from the weekend. And there is this video from fan Shawn Proctor posted to YouTube. BLOB Criterion Blu-Ray Wins A Rondo! 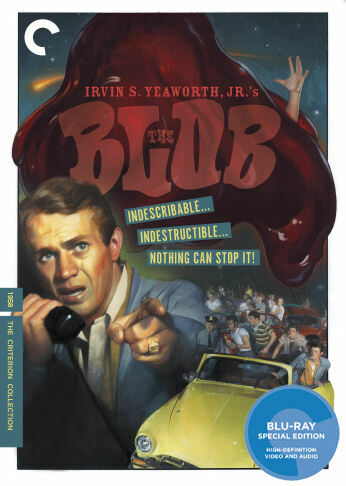 Criterion Collection’s recent blu-ray edition of The Blob has won a Rondo Award! The high-def reissue of their original 2000 DVD issue snatched this year’s award for “Best Classic Horror DVD/Blu-Ray Release” based on the new 4K digital restoration the disc sported. The blu-ray beat out the likes of Golden Voyage Of Sinbad, House Of Wax, The Howling, White Zombie and more. 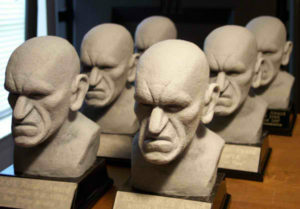 The Rondo Awards, named after Rondo Hatton, an obscure B-movie villain of the 1940s, celebrate the best in classic horror research, creativity and film preservation. This year’s e-mail vote, conducted by the Classic Horror Film Board, a 19-year old online community, drew nearly 3,400 ballots. The 35-category ballot is the largest survey of the classic horror genre held each year, and nominees and winners tilt decidedly toward horrors of the 1920s-60s. Unfortunately, the annual BlobFest celebration in Phoenixville was once again a bridesmaid, never a bride at the Rondos, taking another “Honorable Mention” in the “Best Fan Event” for the Friday Night Runout Re-enactment. Is There A Blob Loose In The Andes Mountains? Has the Blob escaped its arctic prison and somehow made its way to the Andes Mountains, of Chile? You would think so, based on the some pictures showing up on Robert Krulwich’s Krulwich Wonders blog on NPR. Turns out, though, that what is shown are actually a form of plant-life not seen anywhere else in the world. In Spanish it’s called Ilareta, and it’s a member of the Apiaceae family, which makes it a cousin to parsley, carrots and fennel. 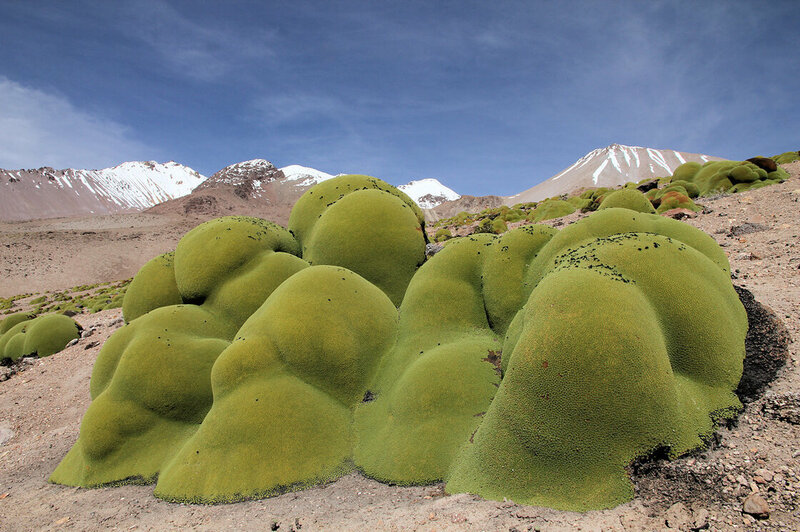 But being a desert plant, high up in Chile’s extraordinarily dry Atacama, it grows very, very slowly — a little over a centimeter a year. Think about that. If you asked one of these plants, “What did you do during the 20th century?” it would answer, “I grew a meter bigger.” At that rate, plants rising to shoulder height (covering yards of ground, lump after lump) must be really, really old. In fact, some of them are older than the Giant Sequoias of California, older than towering coast redwoods. In Chile, many of them go back 3,000 years — well before the Golden Age of Ancient Greece. OK, so maybe it is not a Blob, but it still is pretty interesting. And it may be the closest you’ll get to one without any of the worry of getting close to a blob! Road trip, anyone? Maxblog | Design: HRS of Ferienjobs. Coding: Holzofen of Aloe Vera Gel.